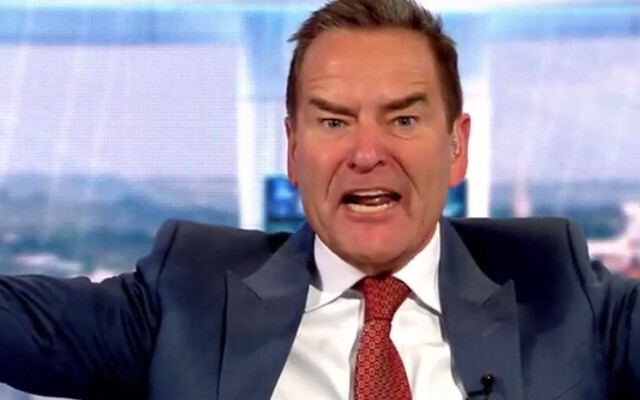 Jeff Stelling is the king of Saturday afternoon TV, but the Sky Sports presenter blundered on Soccer Saturday this weekend as he offended viewers with a joke that was very politically incorrect. Alan McInally, who was reporting live at West Bromwich Albion’s 1-1 draw with Tottenham Hotspur, mistakingly referred to Argentine Spurs midfielder Erik Lamela as “Erik Lamerra”. When the broadcast switched back from The Hawthorns to the studio, Stelling joked that Erik Lamerra “must be Erik Lamela’s Japanese twin”. Stelling’s gag, which is based on the stereotype that Japanese people struggle to pronounce the letter L, did not go unnoticed by viewers. Many took to Twitter to have their say on Stelling’s poor taste in humour. Lamela was unable to help his side beat the Baggies, but the 1-1 draw saw Spurs extend their unbeaten run in the Premier League to 14 matches. Arsenal’s victory over Sunderland means Spurs are now four points behind their fierce local rivals, who sit second behind surprise leaders Leicester City. Spurs are three behind Manchester City and Manchester United, after they both dropped points as well. Mauricio Pochettino’s men are three points ahead of Liverpool, whose game in hand is away to Newcastle United tomorrow. Tottenham’s advantage over 2015 champions Chelsea will be cut to eight points if the Blues win at home to Bournemouth tonight.